From Mediaite: Following yesterday’s big announcement about Anderson Cooper’s sexuality, his best friend, ‘D-List’ celebrity Kathy Griffin, is speaking out about it. Griffin wrote a piece for The Daily Beast in which she responds to his coming out, saying that while he is indeed gay, she would never have outed him. Reports Mediaite, “When [Griffin] told her friend that she was constantly asked about his sexual orientation, Cooper replied, ‘Kathy, I don’t get asked as much about my sexuality as you get asked about my sexuality. But here’s my standard party line: ‘I want to report the news. I don’t want to be the news.’’ And while she is glad he’s finally publicly out and open, she worries both for Cooper and for younger gay people who, once out, face the additional hurdle of making their way through a world that can be not only discriminatory, but dangerous.” Read more, including some of Kathy’s piece, here. From Gossip Cop: This has to be one of the most ridiculous rumors we’ve heard lately — Brad Pitt is a groomzilla, and he’s driving his bride-to-be Angelina Jolie insane. This, among many other false claims about their wedding, is what the National Enquirer is reporting. Writes Gossip Cop, “One so-called ‘insider’ tells the Enquirer, ‘Brad is determined to throw a party no one will ever forget. He could leave the heavy lifting to a wedding planner, but he’s too detail oriented.’ Specifics, please? Well, the Enquirer first repeats its 100% fabricated claim that Pitt and Jolie had a “secret beach wedding” in the Bahamas last spring, inadvertently reminding everyone of just how untrustworthy its reporting on the couple is. Now Pitt is supposedly orchestrating an August 11 event at their Chateau Miraval estate in France. The Enquirer fails to say whether this alleged wedding date corresponds with the one it falsely claimed Jolie was picking with the help of a Buddhist astrologer.” Read all the contradictions and rumors surrounding this famous couple here. 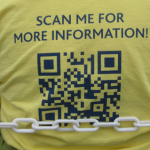 From Geekosystem: Do you know what a QR code is? And if so, have you ever bothered to scan one? 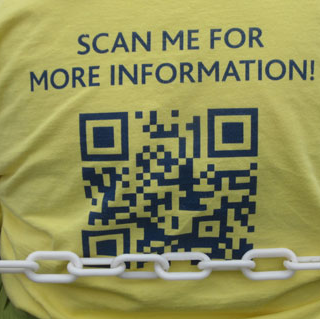 Simon & Schuster hopes the answer to both of those questions is “yes,” having just announced that this fall they will be adding phone-scannable QR codes to their print books. Reports Geekosystem, “Scanning the QR code on one of the forthcoming books will direct your phone’s browser to a S&S author’s page. There, you’ll be able to see forthcoming titles and watch video interviews with the author where available. There is, however, a big graphic encouraging people to sign up for an email list… For publishers, a scheme like this could be a win-win. First, it gives the buyer something nice that, really, costs the publisher very little provided a digital version of the book already exists. It would increase the download numbers for a title, which could be used to bolster confidence in the company’s digital endeavors overall.” Read more about their initiative here. From Styleite: Katie Holmes’ marriage may be ending, but this seems to be the start of a rebirth of her career! Styleite reports on her upcoming projects: “People reports she filmed her cameo as a guest judge on Project Runway: All Stars today. It was also recently announced that Holmes will be starring in Responsible Adults, a romantic comedy with Chace Crawford. The film follows Crawford as a recent college grad who starts dating a med student played by Holmes, who he finds out used to be his babysitter. She’s also working on an untitled Christian Camargo project that’s a modern retelling of Anton Chekhov‘s The Seagull, as per IMDb. According to The Hollywood Reporter, she’s also working on an indie film called Molly that she helped write, but it’s unclear what’s currently happening with that project.” Read more about Holmes’ future here. From SportsGrid: The Brooklyn Nets are not the best team in basketball. But could they be? 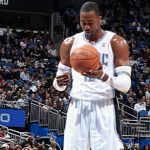 Today, Sportsgrid is writing about how the Nets landing Dwight Howard and making the biggest trade in NBA history is still a possibility. 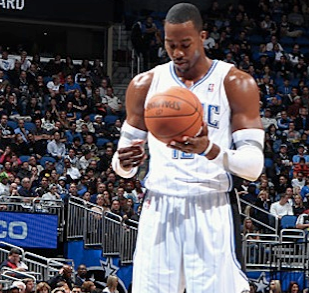 Reports editor Dan Fogarty of the trade, “It could still happen: the Brooklyn Nets could still land Dwight Howard, thus giving them a core of Howard, Deron Williams, Joe Johnson, and Gerald Wallace (who just signed a 4-year, $40 million deal). A starting lineup that includes those four players is an instant title contender in the East, and immediately swings the balance of power in New York City towards the Brooklyn team with the artisanal microbrew logo and the Jay-Z-designed arena. This trade, for basketball and non-basketball reasons, would be arguably the biggest in NBA history.” Read how and why this could happen here. 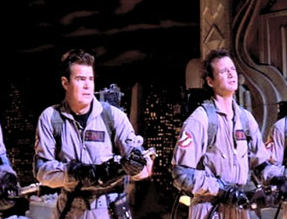 From The Mary Sue: Is Ghostbusters 3 really happening this time? Alas, probably not. 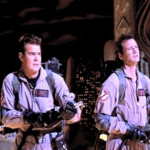 The Mary Sue reports on the saga of the sequel: “And so it goes, another day in the life of Ghostbusters 3, the storied sequel that will probably never happen, but that Dan Aykroyd continues to keep alive no matter how many times Bill Murray tries to kill it. And then resurrect it for the sole purpose of messing with our precious minds. And now, Aykroyd is saying that they have hired new writers, coincidentally (or not) right after Murray appeared on Letterman saying it’s going to come down to the script for him… If you’ve been following this epic case of cinematic blue balls, you probably heard that the two writers in charge of the script for Ghostbusters 3 were Lee Eisenberg and Gene Stupnitsky (The Office, Year One, Bad Teacher). You probably also heard that Bill Murray has been rumored to have “shredded” a draft of the script then said he wouldn’t be involved. And then he said if the script was good, he’ll think about. Or just do it. It’s Bill Murray, he does what he wants, and he’s kind of earned the right to do that.” Read more about this maybe movie here. From The Jane Dough: Yesterday, The Jane Dough wrote about getting more females on American companies’ board of directors. Today, they’re updating on how Britain is working to achieve this goal. Writes editor Amy Tennery, ” A new report shows that a quarter of FTSE 100 companies now have boards comprised of 25 percent or more female directors, according to the New York Times. Miracles happen every day. The significant increase is not necessarily the result (unfortunately) of changing cultural attitudes or company policies but rather a nation-wide, government-sponsored initiative to get more ladies on boards. 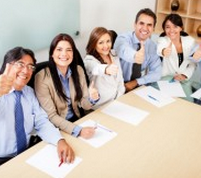 The guidelines call for 25 percent of board seats to go to women by 2015. This is good stuff — particularly when you recall that in March the percentage of female directors at Britain’s top 100 companies hit an “all-time high” of (*womp womp*) 15 percent.” Read the full story here. From The Braiser: The Braiser loves celebrity chefs, and are glad to see Hillary Clinton is giving them attention too. Reports The Braiser, “Today’s New York Times covered the gastronomical changes occurring in the State Department, from the decision to keep the catering services in-house, to the menus’ new emphases on local, organic and seasonal products, and the result has been quite tasty and effective, to everyone’s shock (on a recent visit, Benjamin Netanyahu was stunned that he’d been served ‘good food’ by the Department.) And when even the State Department’s kitchens are too ‘pedestrian’ for a major guest, such as a visiting head of state, Hillz calls on talented celebrity chefs to cook. For instance, Clinton invited April Bloomfield to serve lunch for British Prime Minister David Cameron and his wife Samantha during their visit in March, particularly since Bloomfield, a super Brit, cooks with plenty of American influences. 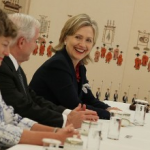 ‘We don’t want to serve them their food,’ says Clinton’s chief of protocol Capricia Marshall, ‘because they can do it better. But we want to give a nod to their culture in a fusion dish. '” Read more here.